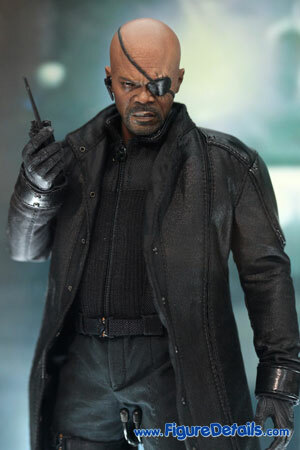 - Fully realized action figure likeness of Samuel L. Jackson as Nick Fury in The Avengers movie. 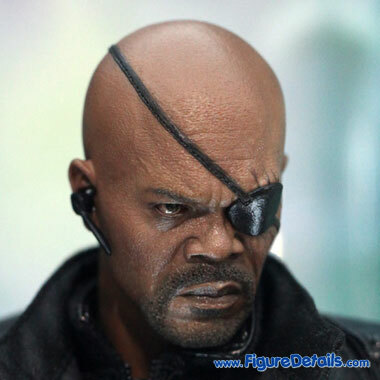 - Movie-accurate Nick Fury facial features with left eye mask. - Silver suitcase with light-up Tesseract (Cosmic Cube). 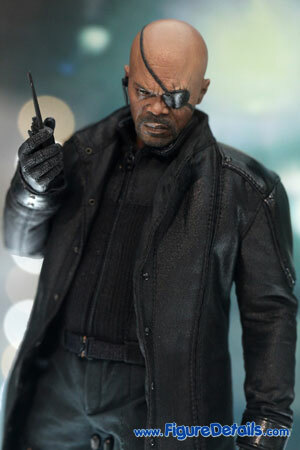 Here I show you the photos of Nick Fury Limited Edition Action Figure that is now displaying in the Hot Toys store. 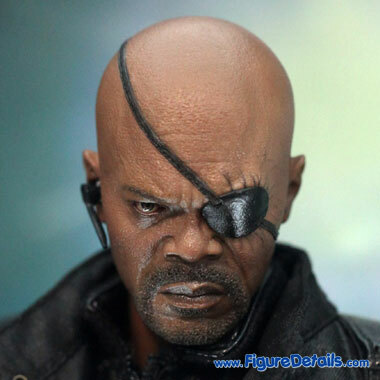 Nick Fury is the director of S.H.I.E.L.D. from the movie The Avengers. 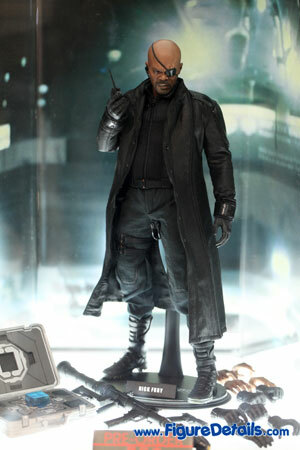 Indeed, he is already appearred in various moive, Iron man, Captain America, and Thor. 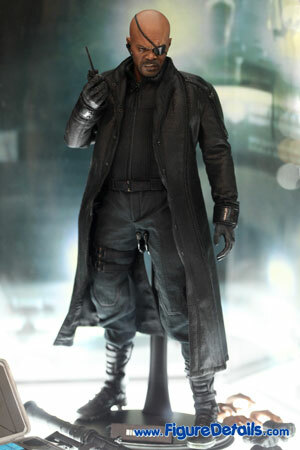 Although this action figure don't have a very special costume or feature, it still a must action figure to have. 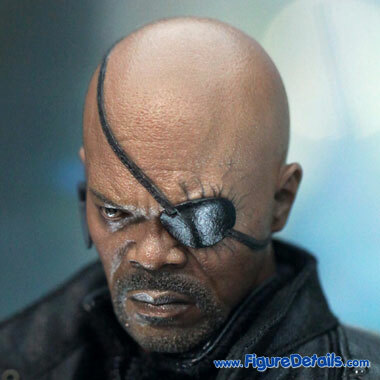 If you look clearly, Nick Fury action figure has a very high quality head sculpt - Samuel L. Jackson. 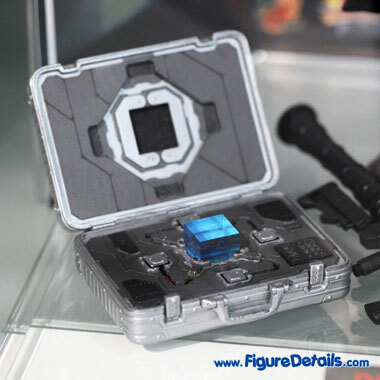 For accessories, it come with Silver suitcase with light-up Tesseract. All are the reasons for you to buy this action.